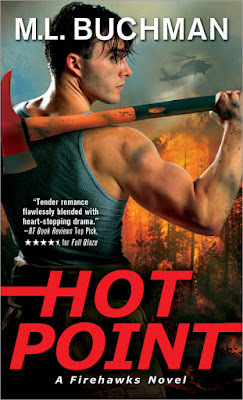 In my latest novel, Hot Point, Vern Taylor has one specialty, he can make a firefighting helicopter dance across the sky and hammer down even the worst wildfires. Give him a big Firehawk, a hot fire, and a muscle car to cruise to the bar afterward and he’s one happy guy. But when he falls for Denise Conroy, the outfit’s quiet enigmatic helo mechanic, he is suddenly out of his depth. Quiet, gorgeous long hair, and barely up to his shoulder, she is a complete mystery. Vern has no idea how out of his depth he is until he climbs into Denise’s favorite toy, a 1973 Fiat Spyder two-seater convertible. The car’s black paint was a perfect gloss. The red leather bucket seats were immaculate. He’d always appreciated the image of this woman in this convertible whenever he saw it, but he’d never really noticed the condition of the car itself. It was an absolute showpiece. Restored to new condition even though it must be forty years old. He was tall enough that, with the top down, he could simply step over the door and slide down into the seat. The leather was as comfortable as it looked, once he moved the seat back. Even the wood paneling of the dash looked freshly oiled. “Thanks. Her name is Irene.” Denise pulled her hair over her shoulder as she sat down. With a dexterous flash of nimble fingers that held him mesmerized, she trapped the glorious mane in a thick French braid secured by a neon-red scrunchie—like a danger warning sign at the end of a long load—before tossing the braid back over her shoulder. A pair of dark sunglasses soon hid her green eyes and she fired off the engine. You didn’t do something as mundane as “start” an engine like this one. It rumbled and roared to life. “Irene? Like in ‘Goodnight, Irene’?” Had he taken his life in his hands getting in this car? Denise backed it out carefully over the gentle crunching of the heavy gravel in the parking lot. “Irene as in Irene Adler.” She shifted it into first gear, revved the engine, and popped the clutch. With a gravel-spewing, fishtailing jolt, they shot past his bronze-colored Corvette convertible that glowered with jealousy at being left behind. The Fiat launched out of the parking lot and onto the narrow two-lane that wound down the mountain. “Crap!” was all he managed as the car carved the turns, gripping the road at least as well as his Vette. He managed to relax his desperate grip on the wood-and-leather dashboard because hanging on made him look decidedly feeble and not the least bit calm, cool macho. Though he was sufficiently wise to retain his tight hold on the inside door handle. She slammed into third and laid into another corner, then did a double-clutch downshift to rocket up a short but steep grade in second. “Why her?” The one woman ever to outsmart Sherlock Holmes. 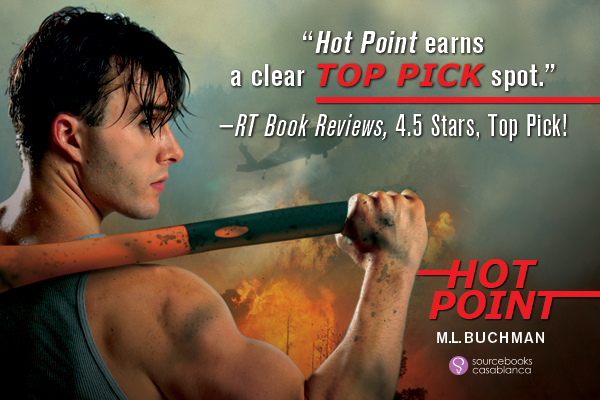 One winner will receive a print copy of Hot Point! To enter to win leave a comment or question for the author. Contest open to US entrants only. Winner will be chosen randomly. Contest ends on August 5th 2015 at midnight Eastern. oooh... this looks and sounds awesome :) thanks for sharing! Sounds like a fun car but I'd be holding on with both hands. Don't care how I'd look. Thanks for this opportunity. Oh man, I love firefighters! If only they look this hot in person! Braine, you won a copy of Hot Point! Message me your mailing address & I'll forward it to the publisher :D Congrats & Happy Reading! What a great except! I've gotta go check out the first two boss in this series! That one looks pretty yummy. I have another from Buchman on my shelf but so far haven't gotten to it yet.